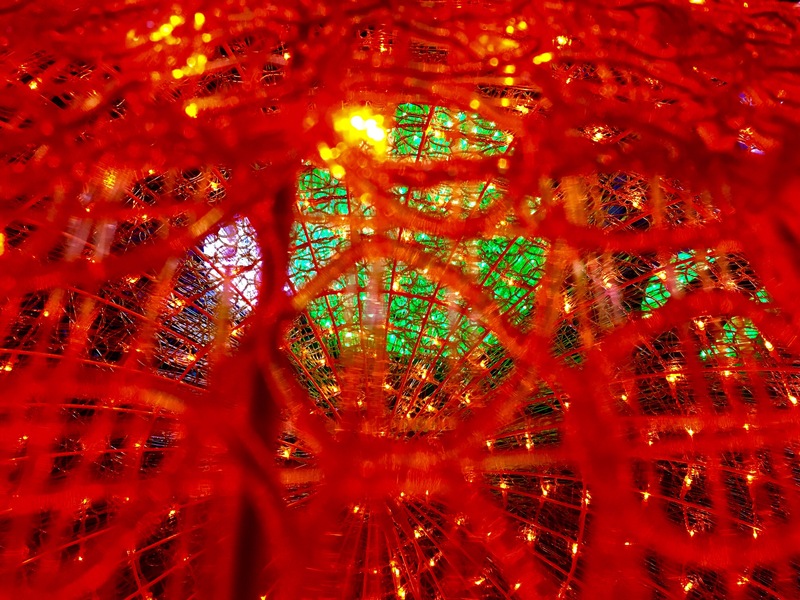 When it comes to holiday lights, I’ll be the first to admit that my perception is a bit jaded by my frequent festival . Whether it was my first experience at Electric Daisy Carnival way back in 2006 when it was still a one day event in San Bernadino, or my last in 2011 when Tiesto tore the sky open and caused the stars to rain down for what felt like an eternity – the dance music circuit and music festivals have almost spoiled the fun of holiday lights, but get one thing straight – I’m not complaining. 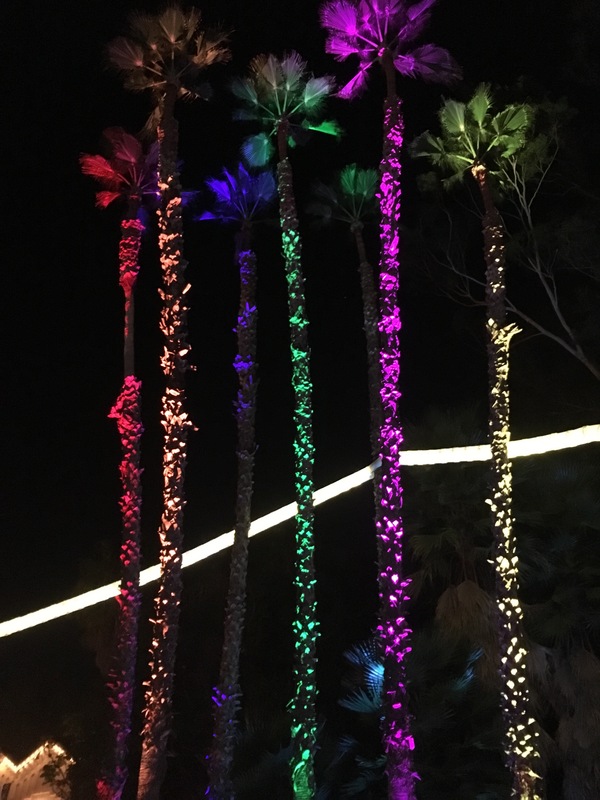 I’ve lived in Los Angeles since 2008 and finally – after almost eight years, i got the light show that I’ve been waiting for. 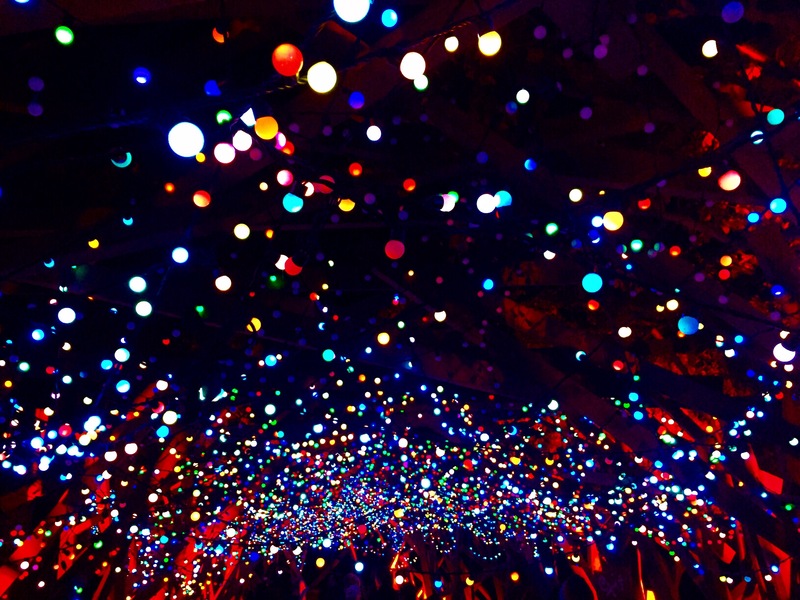 Hosted in conjunction with the Paramount Studios, Cirque du Soleil and Stella Artois, the LA Zoo Lights breathes electric nightlife into the stunning landscape of the LA Zoo and Botanical Gardens. 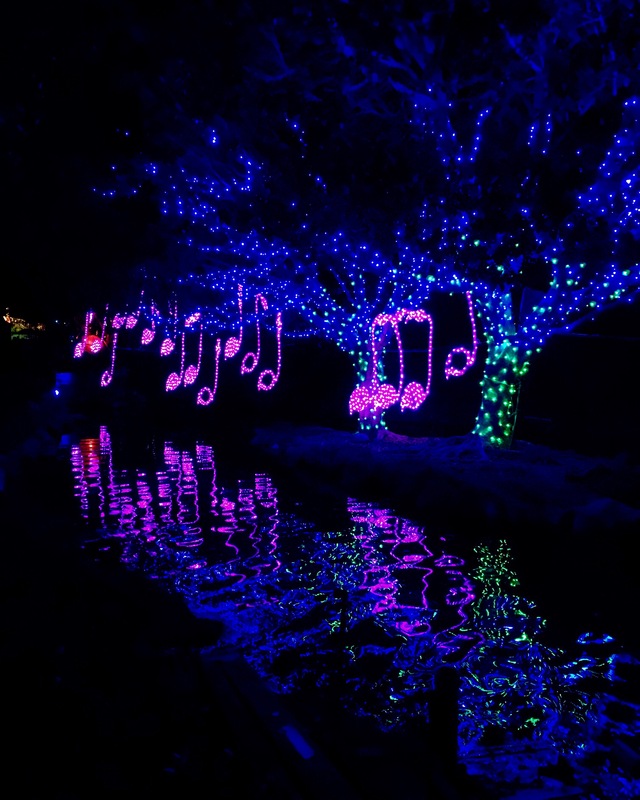 With the real animals in sweet, deep slumber – the true wildlife comes out to play including an electric forest, musical flamingos, technicolor elephants, upcycled singing frogs crafted out of old water bottles, a stunning water-laser show, and so much more. Upon entrance, you’re greeted by an array of wily monkeys, earnestly plugging in the zoo to set the festivities in full swing while the eccentric melodies of Cirque du Soleil’s latest traveling show KURIOS radiate through the loud speakers. 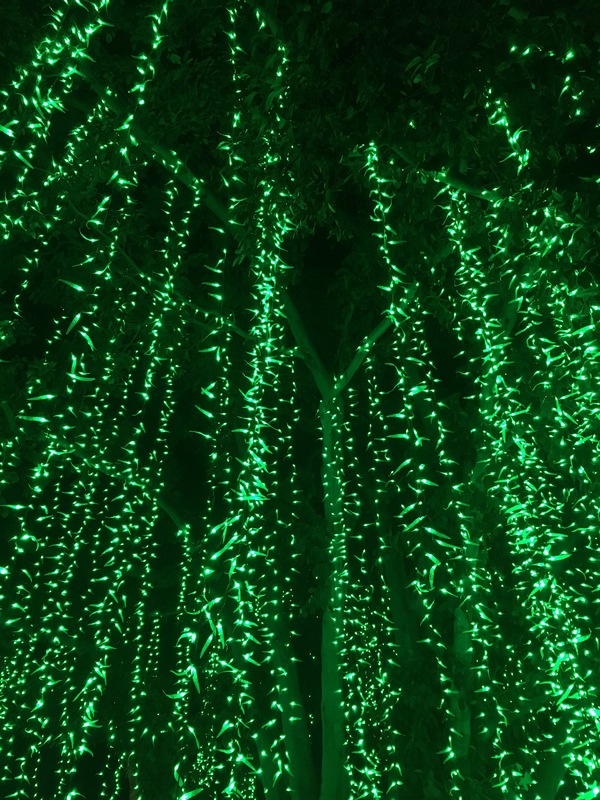 Roaming through the park, Holiday tunes from KCRW ebb and flow out of the Disco Forest while light dances through the trees. Though most of the live animals are asleep, the Lair is still open and sure to creep you out with all of their crawlies; let me just put it this way: thank goodness they’re behind glass! Or hey, if you like that kind of stuff…good for you, or something. My theory is that you go in the very first group and slowly make your way around, enjoying each and every exhibit. One protip that I will forever live by: since you enter the Zoo by admission time, pick an early time, and show up about 20 minutes after the gates are open – you’ll be able to walk right in and the park won’t be as crowded. 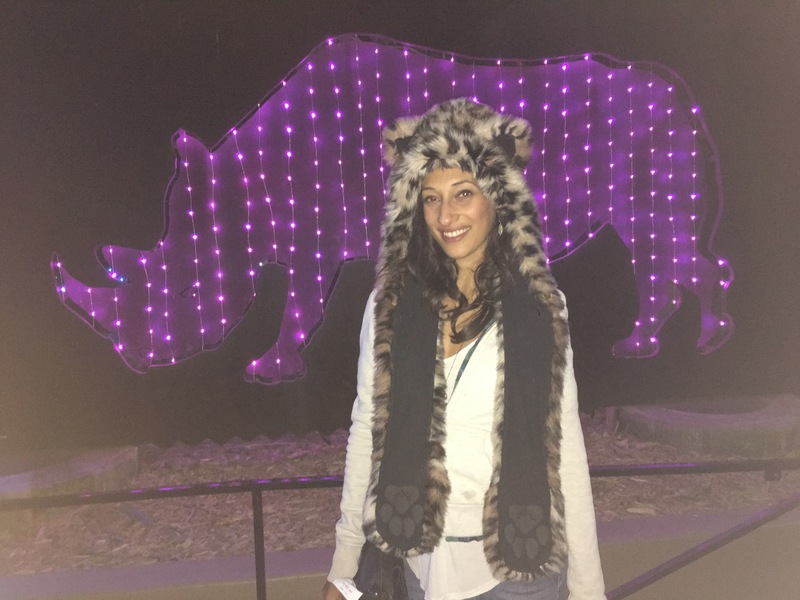 And since your tour of the LA Zoo Lights is self guided, enjoy yourself a merry little Christmas and take your time to smell the illuminated roses. We ended up staying for two and a half hours and could have easily stayed longer but vow to come back before the end of the year! The park is open through January 3rd, week days and weekends – so be sure to check the website for availability.